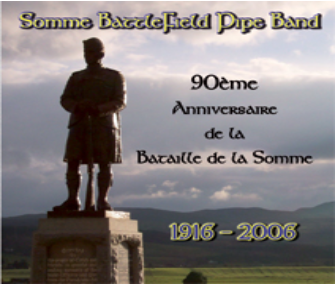 The Somme Battlefield Pipe Band was raised in 1989, under French associations law dated 1901. 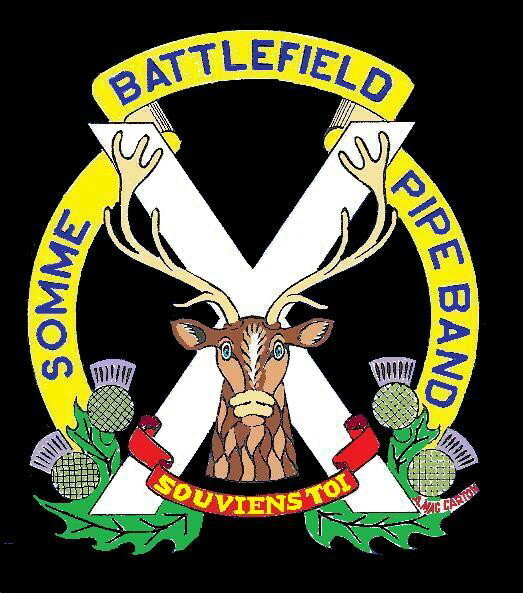 The objective is to promote the music and history of the Scottish soldiers and their Regiments during their time in Northern France and the Somme Area in 1914/1918, but also during the second World War, where many of them paid the ultimate price. 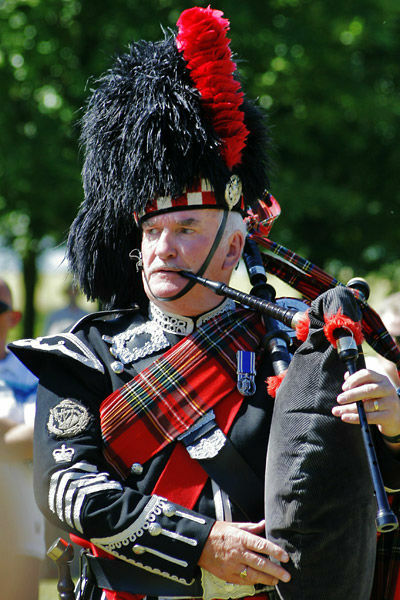 Each musician of the band, piper or drummer, wears proudly and worthily the uniform of one of the Scottish Regiments present in the Somme area during the conflict. Our tunes are mainly traditionnal Scottish and Irish airs. That's how these flowers which color settles on the tranches parapets arise today on jackets and hats. 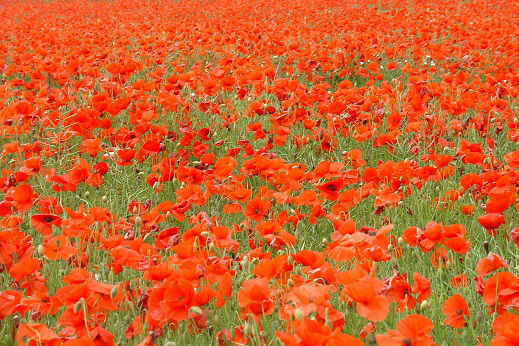 The very symbolic Poppy as glowing as blood, from Belgium to Picardie is spilling his alchemy on the Battlefield. This plant is of grass-roots living, after a long rest under the earth, by the call of a sunshine... as men do. Buried and exhumed many times as much body during the bombing, they provide the measurement, in legend, of the number of those who gave their lives. In the old days, inside the clan, the piper used to be the holder of the traditions and exploits of the group. He was entitled to carry the various events through his musical compositions that will be transmitted in the future. For a long time in the regiment, the piper was a civilian employed by officers to show “the spirit inside the clan” to soldiers during parades. That is why, even if he became part of the military corps, he always wears a green jacket, traditionally civilian, as well as a feather on his glengarry. In the same way, the drummer is always part of the military corps and thanks to his drumming or bugle playing, he gives orders in the barracks or during fights. Thus, he wears the well-known red jacket from the British Army and the typical high feather bonnet. 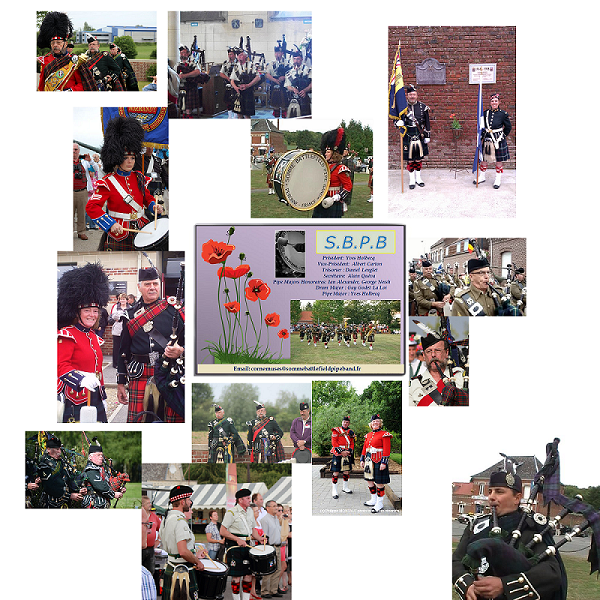 The reunion of pipers and drummers led to the formation of civilian pipe bands. The Great War was the event which stopped the fact the piper was leading companies to battles. More than 600 of them died doing that. 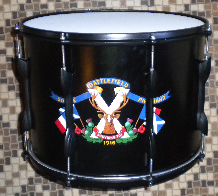 The pipe band formation is a typically Scottish aspect and was developed in 1914-1918 by units of “territorials”. Later, in the 1930s, the Irish imitated them, even though they traditionally marched to the sound of fifes and drums. In the same way, the Bretons created the “bagadous” after WWII. 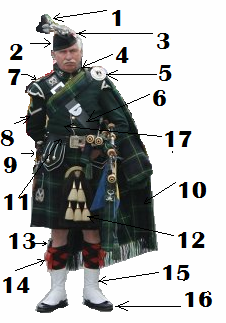 The bagpipe is normally played by one person, or in bands. Contrary to what many people think, the bagpipe is not a Scottish invention, but the result of an evolution throughout several centuries. Indeed, this instrument first appeared in Ancient Egypt and then travelled in the Mediterranean region and developed in Europe. There are many forms and names for it according to the different countries but the technique of air reserve which feeds the various elements composing it is common to all. This instrument with a sound changing according to the “mood” of the weather, the damp rate and the temperature, needs specific and constant care from his owner. 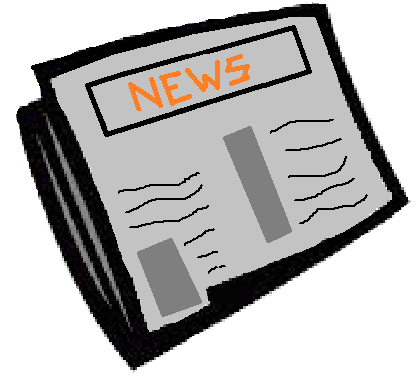 Like for all musical instruments, intensive learning is necessary to “master” it. In Scotland, it is said that seven years of practice are needed to become a good piper.